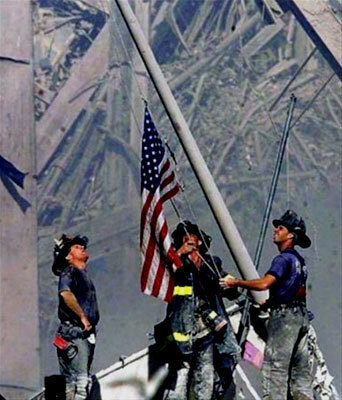 Of all of the images from Ground Zero, perhaps the most well known is that of our three hero firefighters raising the American Flag. It is a spectacular image of hope, courage, resilience, unity, and patriotism. I love to look at this picture. And it reminds me about the tremendous courage that was exhibited by our heroes at Ground Zero. We salute all of our 911 heroes.